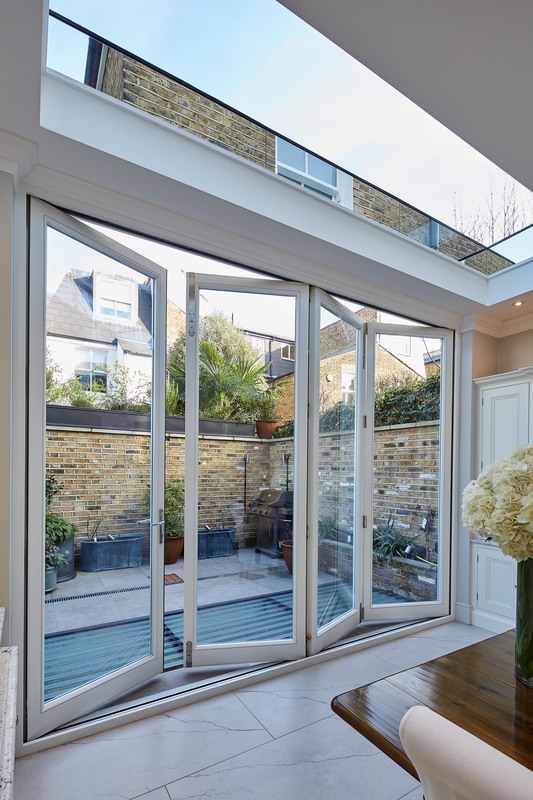 Apart from their acoustic strengths, our bi-fold doors are also striking for their durability, and capacity to offer outstanding thermal efficiency and enhanced security. Our initial visit is to help you to weigh up your options before you make any commitment. Be sure to check out our variety of soundproof doors, whether you’re wanting bi-folding doors, French doors, a new front door, sliding doors or patio / balcony doors, we can help you with a bespoke solution. What sets our Soundproof Bi-folding Doors apart? We insist on only fitting the finest glass into all our doors and windows. For this reason, we will always use glass from the world’s two most renowned manufacturers – namely, Pilkington and St Gobain. How much noise reduction can you achieve with our soundproof bi-folding doors? We are able to achieve noise reductions of up to 40dB.